Dutch journalist Berthold van Maris was interested enough in my research to write an article about in the Dutch newspaper NRC in june 2018. Thank you very much! A digital version can be found here. 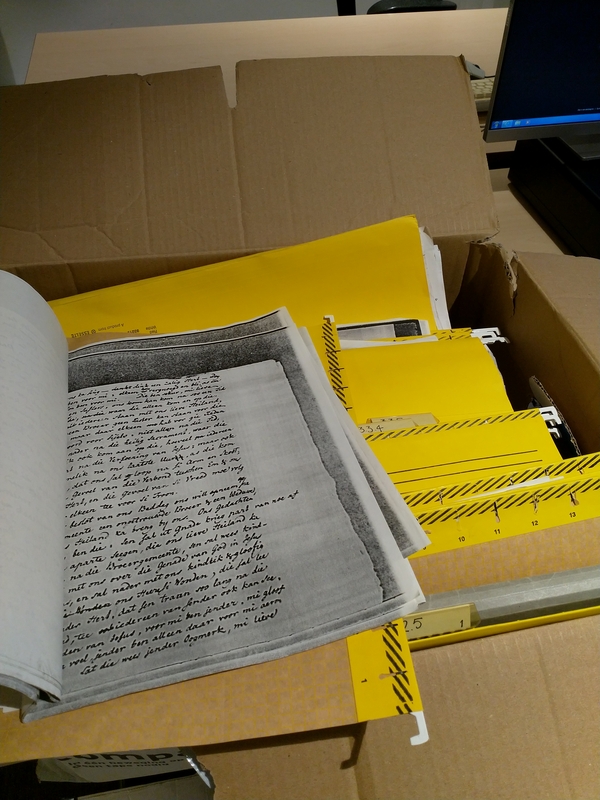 At the end of the 1980s these photocopies of microfilms were send from Herrnhut (Germany) to the Department of General Linguistics of the University of Amsterdam to be digitalized. After the publication of Die Creol Taal (1996) the texts were provisionally archived in Amsterdam. When the Ph.D. projects of Robbert van Sluijs and Cefas van Rossem started, all texts were stored in the Radboud University in Nijmegen, The Netherlands. Since these texts need to be available for further study, I am very happy to announce that these are from now on archived in the Meertens Institute of the Royal Netherlands Academy of Arts and Sciences in Amsterdam! The originals are of course in Herrnhut, well archived in the beautiful Unitätsarchiv.